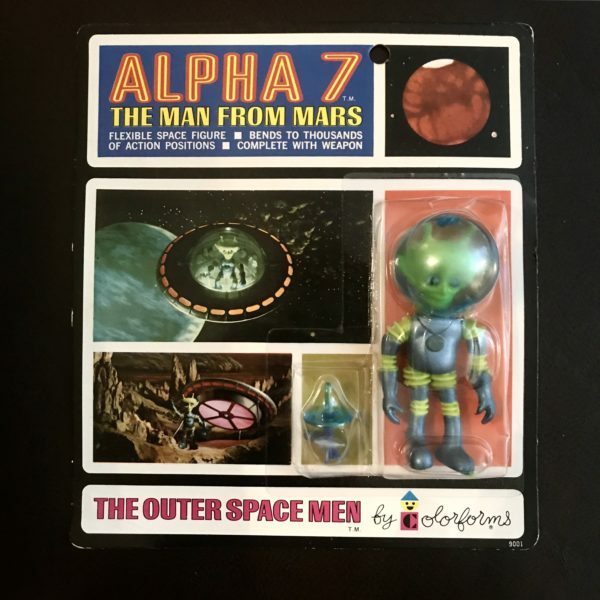 THIS IS A 1968 VINTAGE CARDED ALPHA 7. 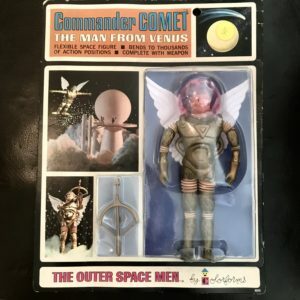 THIS CARDED GEM IS IN VERY AMAZING EXCELLENT FOR BEING 50 YEARS OLD. THE CARD AS YOU SEE IS PUNCHED AND THERE ARE MINOR CRUSHED AREAS ALONG THE RIGHT SIDE OF THE BLISTER NEAR THE HELMET. THE BLISTER IS NOT CRACKED AND DISPLAYS BEAUTIFULLY. THERE ARE SOME TINY DINGS ON THE SIDES AS WELL AS THE CORNERS AS WELL AS SOME SUPER TINY AREAS OF MINOR SHELF WEAR. 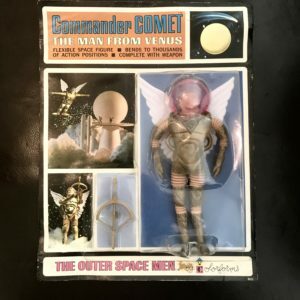 THIS IS A WONDERFUL CARDED OSM FIGURE WITH SOME VERY MINOR WEAR THAT IT SUSTAINED OVER THE 50 YEARS THAT IT HAS BEEN AROUND. 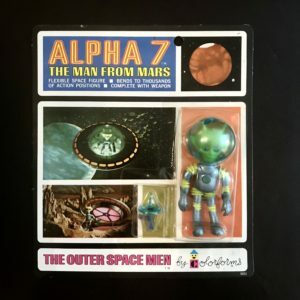 THIS EXAMPLE OF A CARDED ALPHA 7 IS A RARITY INDEED AND IS IN MARVELOUS CONDITION.